“Trail running” in La Petite Trotte à Léon in August 2012. Photo by Beat Jegerlehner. On Monday, Aug. 26, at the ridiculous starting time of 10 p.m., I’m going to line up with eighty other teams on the dark streets of downtown Chamonix, France, to start this monster of a mountain race I really have no business being a part of — the La Petite Trotte à Léon. What is La Petite Trotte à Léon?” In a phrase, it’s “an enlarged tour around Mont Blanc.” Circumnavigating the highest mountain in Europe, PTL is a 293-kilometer loop with 24,000 meters of climbing — or 78,000 feet of gain and another 78,000 feet of descent in 182 miles. 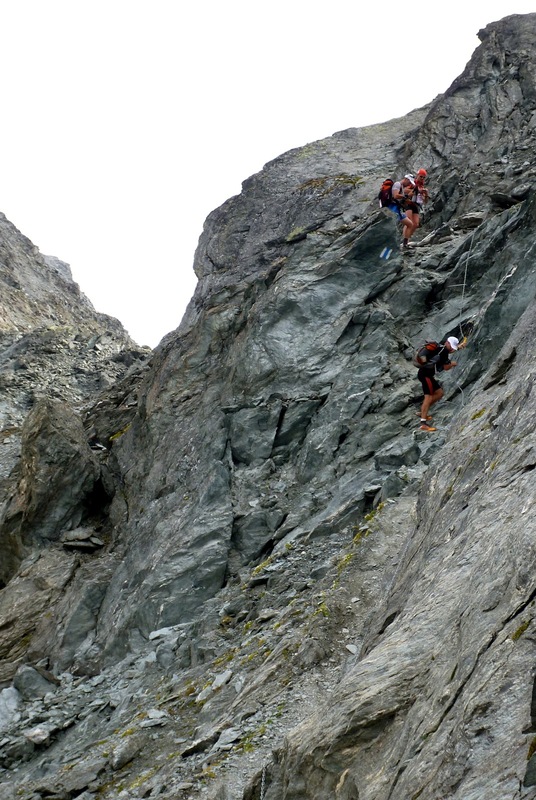 This Tour du Mont Blanc takes place on “paths sometimes difficult, even non-existent” as it passes through the Alps of France, Italy, and Switzerland. It includes the crossing of 33 passes and summits between 2,500 and 3,000 meters altitude. Participants travel the route in teams of two or three who operate in autonomy — meaning the PTL is self-supported with the exception of three life bases in villages, each about 80 to 100 kilometers apart. There is no other aid. There are no crews. There are no course markings. There’s not even much of a course. It’s just a thin line of a GPS track on a bewildering swath of mountains — scrambling up and down rocky ledges, traversing narrow ridges, descending scree slopes, and climbing and dropping many thousands of feet on interminably steep trails. The event has no classifications — meaning you either finish or you don’t, but you won’t be ranked — and teams are given 136 hours to finish. This cut-off requires teams to keep a minimum average pace of 1.33 mph over the entire length of the course, including stops — a surprisingly demanding pace given all of the difficulties at hand. “Running” is not the predominant mode of travel for any team in PTL, as much as hiking, slogging, scrambling, and light mountaineering. Regardless of how you define it, any forward motion on the PTL course is more strenuous than most anything else I’ve done as a trail runner, and I’ve signed up to do this for nearly six days nonstop. Why, oh why? I’ve only been running for three years, and while I’ve packed in some fun races, my resume is still fairly slim — four 100-mile finishes, two 250-kilometer stage races, one 70-miler, two 100Ks, a 50-mile, a bunch of 50Ks. My partner, Beat, has been pursing these 200-mile-plus ultras for about the same amount of time as I’ve been running, and completed his first PTL in 2012. 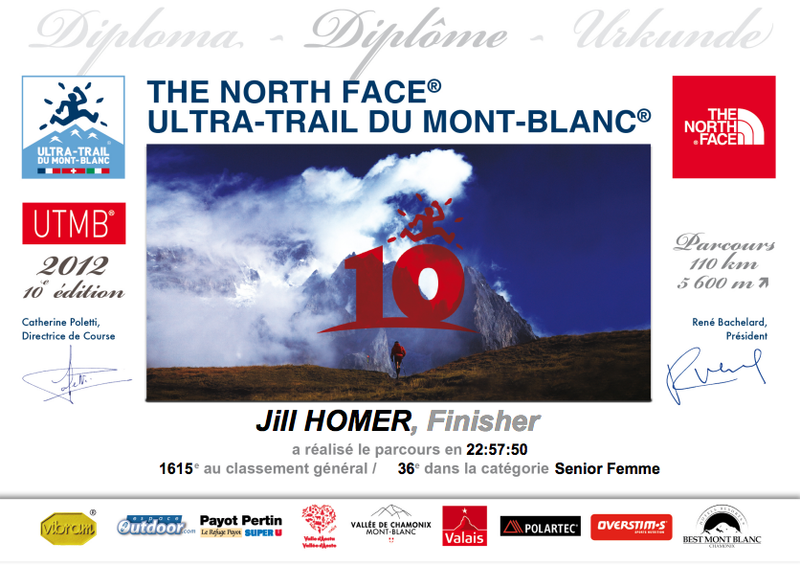 During that time, I competed in the main stage event in Chamonix, the Ultra Trail du Mont Blanc. Because of severe weather, the 2012 UTMB was shortened from 168 kilometers to 110. Despite UTMB’s truncated status, spectators lined the streets six-deep for more than half a mile along the finishing chute, cheering for me and others like we were winning a world-class marathon. Beat and his PTL partner, Daniel, completed their week-long ordeal a mere ten hours later. It was 2 a.m. when they arrived at the finish line. The streets of Chamonix had become deathly quiet, and the only person left on the course was a sleepy-eyed checker who frequently looked at his watch. If UTMB is the star athlete, PTL is its hulking big brother that stands in the corner while everyone tries to avoid eye contact. I received this digital certificate for finishing the 2012 UTMB. You don’t even receive that much if you finish PTL. Those two stories are intended to illustrated one of the reasons why I think PTL is a better race for me. UTMB was a well-run event on a scenic course, but the reroute was frustrating, the hype was deafening, the crowds were difficult to navigate, and I found the experience as a whole to be spiritually draining. PTL is just 80 teams out there for four to six days, strung out over hundreds of kilometers, largely on their own, navigating excruciatingly beautiful and seldom-seen mountain terrain in the heart of the Alps. The format suits me as well. 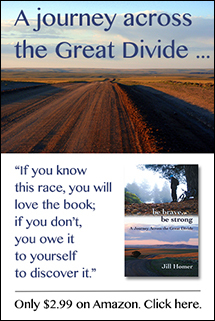 As a runner I’m mediocre bordering on poor, but I’m a strong hiker with a deep well of endurance and mental stamina. Long, rugged challenges play to some of my strengths that I feel compelled to develop farther — as long as I can keep my legs in motion, keep my feet from falling apart, and stay awake. Oh, and avoid slipping off a mountain. Ana Sebastian enjoys a liter of gelato after finishing the 2012 Tor des Geants in Courmayeur, Italy. 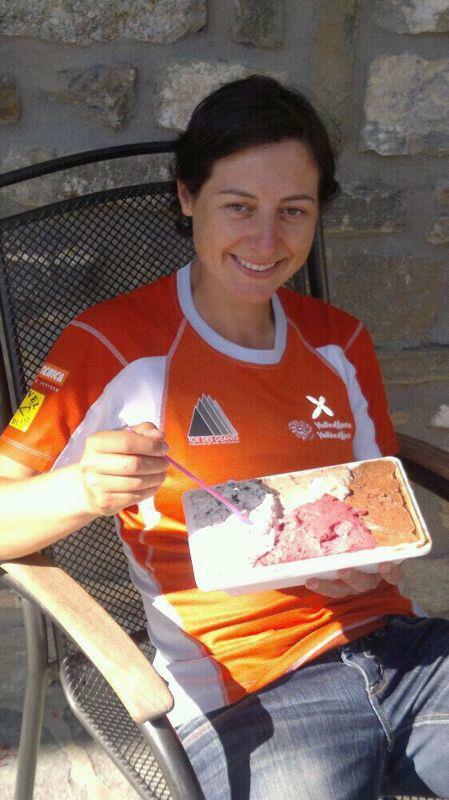 I’ll be part of an international team with Ana Sebastian of Spain and Giorgio Spadola of Italy. Ana and I originally planned to race as a rare two-woman team, but added her friend Giorgio after he asked to be included. Our team is still flippantly called “Too Cute to Quit,” a nod to Beat’s team with Daniel Benhammou and Dima Feinhaus, “Too Dumb to Quit.” Actually, I doubt that any of us are too anything to quit — in all honesty, I have strong doubts in my ability to finish this monster — but running in teams of three will give us some leeway. In PTL, the mandatory minimum team size is two, meaning in teams of three the others can still continue if one person quits. If two of us quit, everyone’s out. We will all carry our own food, water, first aid, and clothing, and will split an emergency shelter. We plan to use mountain refuges and villages for food resupplies and occasional rest. Any way you weigh the PTL, it stands to be a grand adventure with potential sprinklings of disaster. This challenge is far beyond my pay grade, and for that reason I’m all the more anxious to take it on. Failure is likely, and for that reason I’ll dig even deeper for that slim chance of success. I’ll leave everything I have on that thin GPS line knowing that journey is everything in PTL. After all, it’s not like I’ll receive so much as a certificate if I finish. I like that about this race. More information about PTL is available at this link. A Google Earth tour of the entire course is available at this link. Team updates during the race will be available at this link. Good luck! Sounds like an amazing adventure! You will do awesome. It’s exactly up your alley.